Let’s say you want to be in constant touch with a website that you love, so you try downloading the app. Then you realize you have to delete a few things on your mobile due to insufficient space. Finally, you download the app and it functions great, until… your net connection is lost. Is it worth going through all of this when all you wanted was to browse with ease? This was one of the reasons that the idea of progressive web apps was proposed. 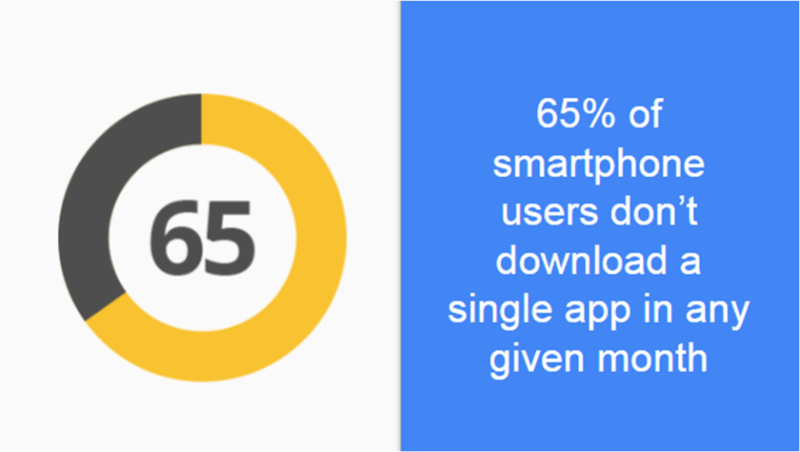 37% of users use e-commerce & retail apps for one month after they downloaded it, meaning 63% of users have churned and are no longer using the app one month after they downloaded it. Now, this is a huge percentage of people. So what is the use of making an app if it ends up in the bin? Mobile users get irritated when an e-commerce website takes forever to load. A 500ms connection speed delay results in up to a 26% increase in peak frustration and up to an 8% decrease in engagement. The problem of delayed “page load” is far more critical in Africa or even the Indian subcontinent. It is of paramount importance that E-commerce marketers create powerful native experiences for their mobile users. A website is all good (of course if you ignore the load speed), unless you decide to open it on your mobile. Especially when a website is not optimized for a mobile, all hell breaks loose. There are many websites that have a mobile version of the same, making mobile websites more accessible to users and enhances user experience. It is just like a regular version of the website but customized to a mobile-friendly layout. 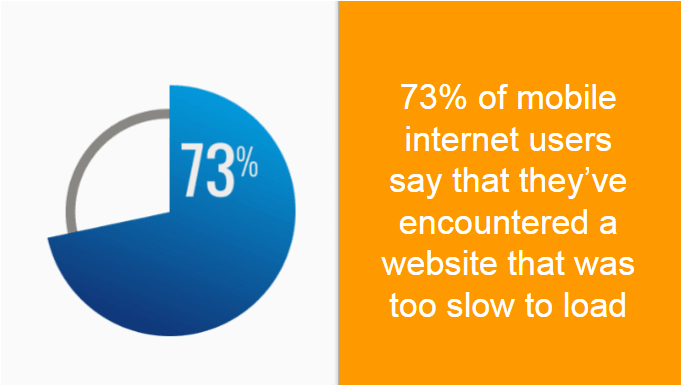 In this fast-paced world, everyone expects that a website should load fast. Websites as we know, do not function offline. So what do we do? The concept of progressive webs apps was first introduced by Google in 2015. Since then, it has been talked about with much awe and amazement. E-Commerce marketers have aggressively pursued the idea of building progressive web apps. The Progressive web app summit recently (June 2016) explained the anatomy of progressive apps and everything that came along with it. It is the next big thing that could revolutionize the way things function and give us an out of the world experience, hence the word ‘progressive’ is prefixed to web apps. Progressive web apps address the shortcomings of both the browser and the native apps; establishing itself as a superhero for marketers and developers. Why choose between a website and native apps, when you can use both at the same time? This is where progressive web apps come in. So what are progressive web apps? Mobile browser audiences have grown at a rate of 1.2x, over the past three years. Progressive web apps (PWA) help developers and marketers adapt to this growing base of mobile users. PWA has all the dynamic features of an app and also functions like a website, making it both powerful and useful for the end user. It is a hybrid of native web apps and a regular website, which makes a mobile website as fast and useful as native apps. Progressive - Has the capability to work on any device and provide users with all the functions that are capable, according to the technology in their devices. App- like – It should feel like an app to the users as it is built on an app shell model. Fresh – All the fresh updates should be available to the user. The service worker plays a major role to keep things up to date. Safe – The web app should be hosted in HTTPS to make it secure and prevent any harmful intervention from anyone. Discoverable – As progressive web apps are also like a website, it should be easy for other people to find it. One of the things that an app lacks is, it is not discoverable, as no URL is attached to it making it difficult for search engines to search. Re engageable – Web apps just like native apps, make the user engage more than once. This is achieved by features like push notifications. 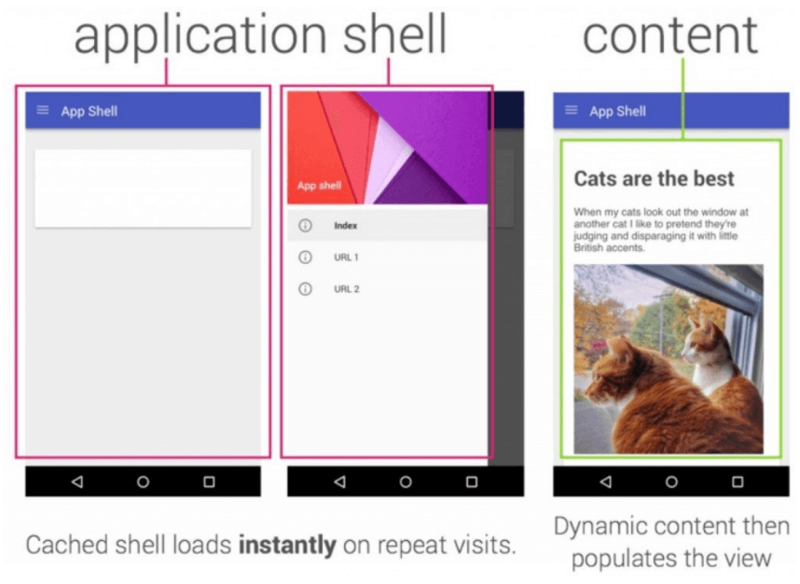 Installable – native apps are installed on the homepage, so are progressive web apps. The only difference is that the former has to be downloaded from an app store. A progressive web app can be added to the home screen and can be readily available. Linkable – It does not require any installation like a native app does and can be easily shared via URL like a website. The blend of these 10 awesome characteristics makes progressive web apps unique and one of a kind. “The reason it’s called ‘progressive’ is that the experience gets progressively better depending on what technology is available in the device,” said David Merrell, senior mobile product manager at The Washington Post. When you browse a site for a certain number of times (varies from website to website) it prompts with a web app installation banner, asking permission to add the website to your mobile homepage. When you click on add, it automatically adds to your home page, which will look like an icon of an app. You can manually add progressive web app by opening the website and then adding a shortcut to the home screen. Once you open the website from the shortcut if starts functioning just like an app and give you a dynamic experience. Remember how we said service workers play an important role in keeping things fresh? So let’s now understand what exactly are service workers. They are like a boon to the mankind. Service workers help a web app to function offline. With service workers, it is easy to retrieve data that was received when the user was last online. Service works acts as a middleman, providing service even when you are offline. It syncs background data and presents it to the user. Service workers work behind the scenes and play an important role in handling push notifications. Check out our article on service workers, to get a better idea of what service workers are. Skip to 6:45 for the good stuff. n application shell should load fast and be cached. The more times the user views the web app, the faster the cached shell loads.It is enhanced by the catching abilities of a service worker. Over 100K+ websites are using chrome web push notifications. There is so much potential for push notifications, but many websites are not making use of it. 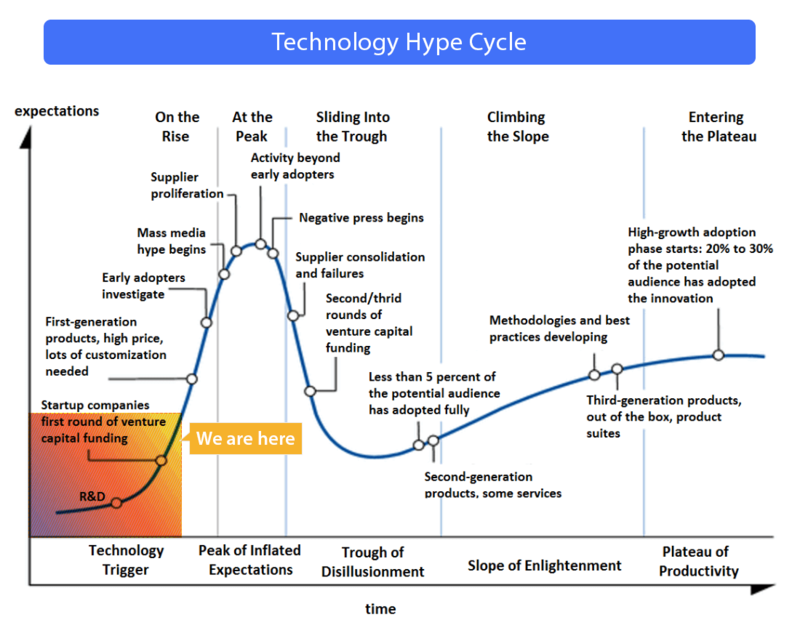 Let’s look at the technological hype cycle to understand where we are right now. The main reason for e-commerce marketers to adopt mobile web push notifications, is to convert users into customers. They not only help you reach out to them but also encourage them to spend more time on your website. Mobile push notifications is majorly an application feature. But with the advent of mobile push notifications, it became possible to send it without an app, but not when users are offline. One can’t take users for granted. Once you lose touch with them, they might not make an effort to get back to you. 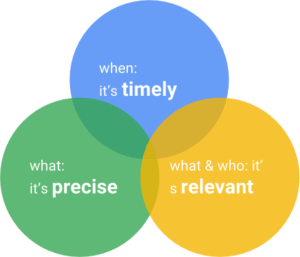 So maintaining constant cordial communication is necessary to keep them in a loop and encourage them to revisit your website. This means that you have to stay connected even when they are offline. This imminent demand is fulfilled by push notifications web app. Progressive web apps work 24/7, thanks to service workers which make it possible to receive personal and timely mobile push notifications anywhere, anytime. Mobile web push notification gives timely updates and effectively re-engages with the users when they are not in the browser or even when they are offline for that matter! Now that’s what we call innovation. There are many success stories when it comes to Push notifications web app. 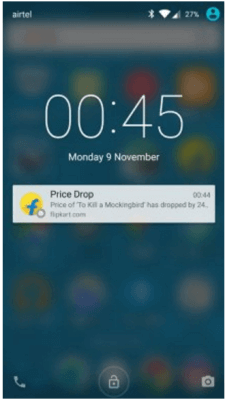 One such story belongs to Flipkart, who came up with ‘Flipkart Lite’. They used progressive web apps and saw an increase of 70%. The users loved the amazing speed, the smooth navigation, and swiftness in which it worked. The thing they loved the most is they got all of this even when they had low connectivity or no connectivity at all. 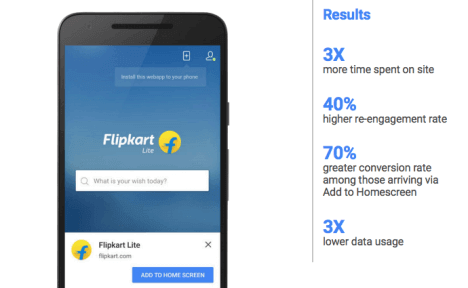 With this video made by Flipkart, you will get to know exactly how progressive web apps work. You can test progressive web apps in Chrome 47 or later. Today there are many progressive web apps and the number is growing. Push notifications web app is here to stay. They are also been used aggressively by many countries, including India. With progressive web apps, gone are those days of native apps and those never-ending hours waiting for the connection to come back. Finally, you can browse what you want to, whenever you want to. Check out 3 new reasons why you should build a Progressive Web App. This article was originally published in E- Commerce Nation.